Since 1981, ARI has been the leader in eCatalogs. Get access to more than 10 million SKUs at your parts counter, on your website or however you need them. 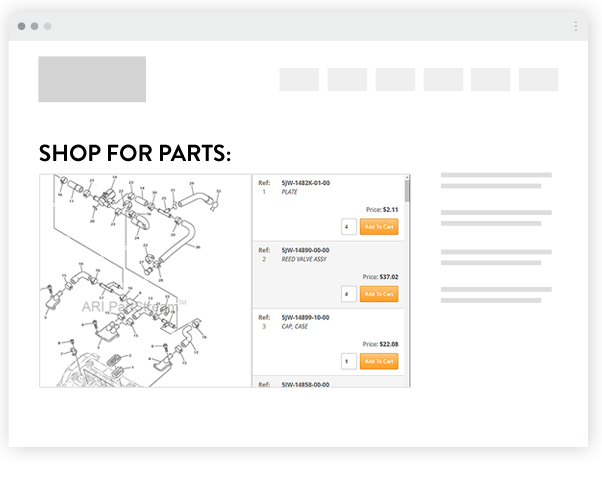 We've been making life easier for parts counter teams for 35 years with PartSmart, the industry's premier OEM replacement part eCatalog solution. Discover for yourself why 20,000 dealers worldwide count on PartSmart to quickly find the right part the first time. 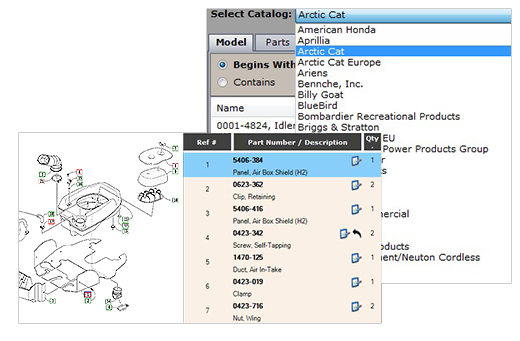 PartStream, ARI's illustrated online OEM parts lookup tool, powers the shopping engine of ARI's award-winning Dealer Website platform. High volume dealers looking to craft a more custom online shopping experience can leverage the PartStream user interface and enriched content library integrated with a third-party website and cart to craft a more custom online experience without the hassle of data acquisition and user interface (UI) development. DataSmart, ARI's Data-as-a-Service (DaaS) solution delivers our extensive and exclusive content in a subscription model ideal for premier dealers looking to build a fully customized online experience. Our data authoring teams handle the hard work with the OEMs so your team can concentrate on building your dealership's online parts shopping experience. 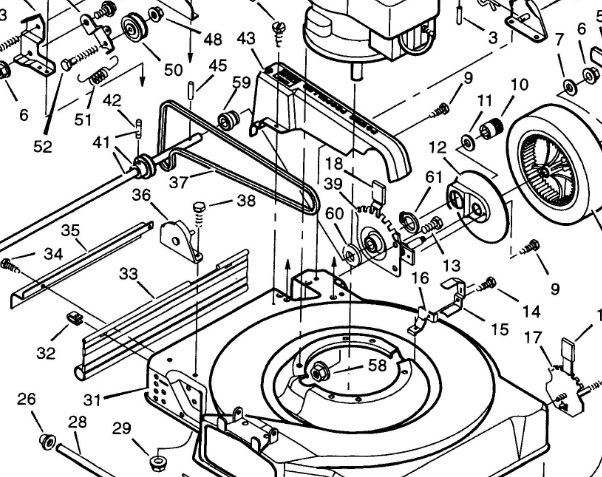 WANT HELP FINDING THE RIGHT ELECTRONIC PARTS CATALOG SOLUTION FOR YOUR BUSINESS? Let's find the right solution for your dealership!